Charlie Aubrey Thompson, Jr., 72, of Melbourne passed away on Sunday February 3, 2019. He was a native of Melbourne, a Graduate of Melbourne High Class of 1965, an Eagle Scout, a member of The First United Methodist Church of Melbourne an avid fisherman and RVer. Survivors include his wife Lynn, son Michael (Bethany), granddaughter Miriam, Sister Patricia Thomas, father-in-law Fritz Miller and many nieces and nephews. 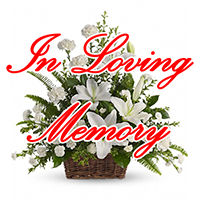 Calling hours will be Wednesday February 6th from 5pm-7pm at Brownlie – Maxwell Funeral Home. A Funeral Service will be Thursday February 7th at 3pm in the First United Methodist Church of Melbourne. Donations in his memory may be made to William Childs Hospice House. Lynn: I am so sorry to hear of Charlie’s passing. He will always be Tommy to me. He and Bob shared many good times in scouts. His widow, Cathy, also sends her condolences. Charlie was so good to my mom especially after dad passed and she looked forward to his visits just to talk. She liked hearing about the travels you and he took in RV. I’m sorry also about your dad. You’re going through so much heartache. Praying for God’s strength for you and your family. We were sorry to hear of Charlie's passing. Our thoughts & prayers are with all his family.